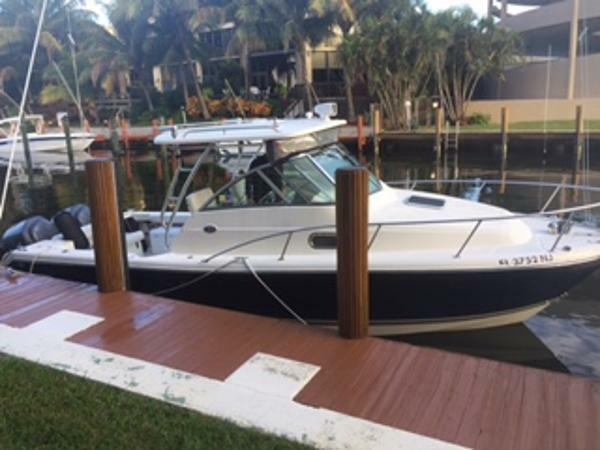 2007 Pursuit 285 OS 2007 Pursuit 285 Offshore, ORIGINAL OWNER, Extremely clean, well maintained. Always Indoor, Dry Dock Stored, twin Yamaha F250 Four Strokes, approx. 276 hours each. NO BOTTOM PAINT. Garmin sounder, GPS plotter, radar. Fuel capacity 232 gallon. Water capacity 30 gallon. Electric flush head & macerator pump. Galley has S/S sink, one burner stove , Tappen microwave and 12/120 volt refrigerator. Set up for the serious fisherman/cruiser. Livewell, raw water washdown, freshwater sink in the cockpit, tackle storage drawers, outriggers. Factory hardtop with 3 piece enclosures and ft drop curtain. Aft removable fishbox with macerator pump. Cockpit coaming bolsters.Rod holders. Aft facing seats. Sleeping capacity 3. LOA: 30'8" Beam: 9'6". Draft 2'6". **Triple Axle McClain Trailer with new Stainless Steel Brakes & recently packed bearings included PRICED TO SELL & CAN BE DELIVERED ANYWHERE IN THE US! 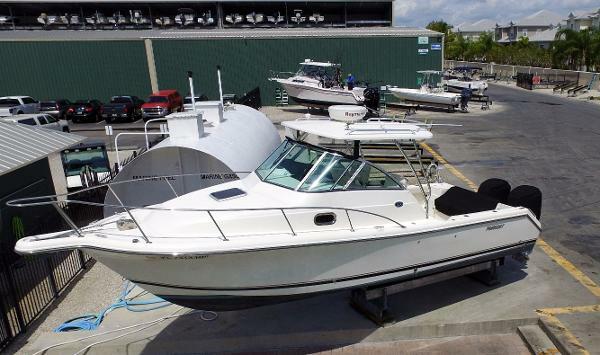 2008 Pursuit OS 315 Offshore The Pursuit OS 315 is the perfect combination for all boaters. With exceptional hull design and well planed out cockpit, pulling a 300lb Blue Marlin over the gunwall is a dream. After the fish are all cleaned, rods are in storage, with no effort at all, your boat turns into the perfect entertaining platform. 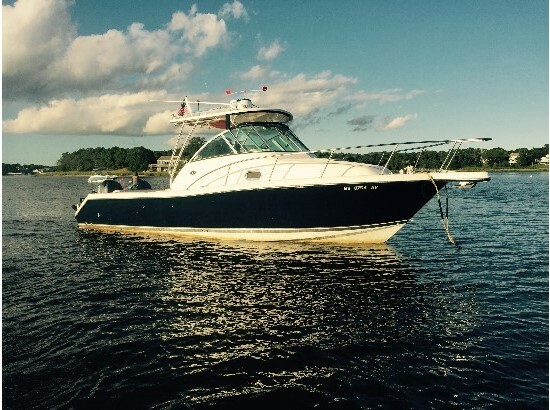 Equipped with full cabin, galley, head/shower, the weekend getaway is at your finger tips. 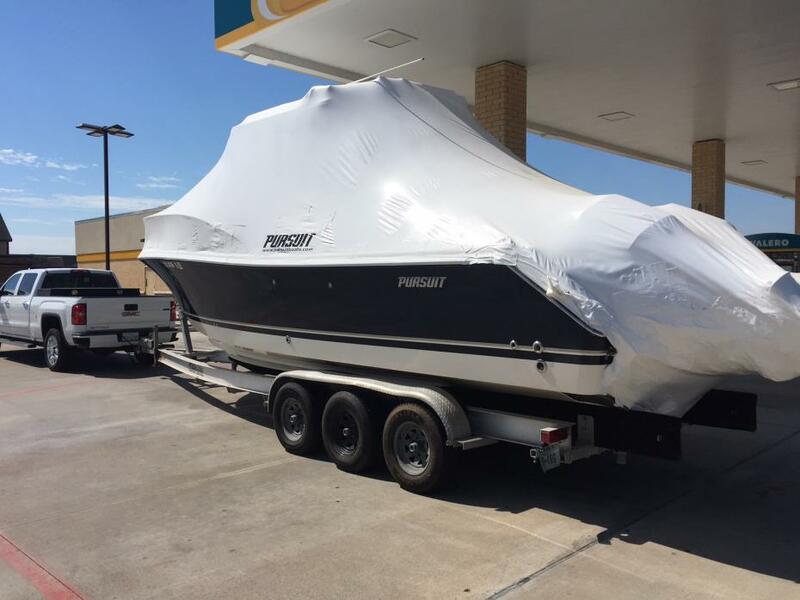 This boat is a one owner vessel. It has been serviced every year by our Yamaha Master Tech. 285 hours on the Yamaha F250 four stroke engines. 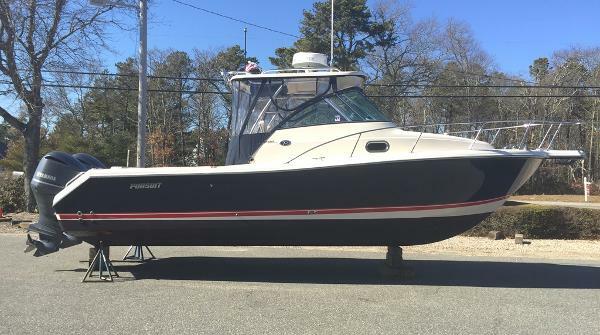 Optional Equipment Includes: Raymarine E120 GPS,Sonar, Chart Plotter, Raymarine 4kw Radome Radar, Raymarine VHF w/ 8ft antenna, Bow Thruster, Auto Pilot, Generator, Windlass Anchor System, Telefax Power Steering System, A/C, Hard Top, Yamaha Digital Display Gauges, Clarion 6 CD Changer w/ Cockpit//Helm and Cabin Speakers, Outriggers, Black Boot Stripe, 3 Piece Black Drop Curtain, Cockpit Bimini Top, Yamaha Engine Covers, And More!!!! Brand new bottom paint and full detail just done! Generator is not functioning properly. Sold as is. 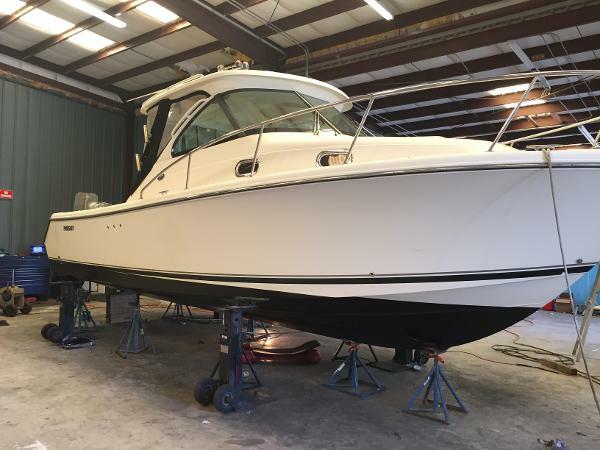 2008 Pursuit 285 Offshore 124 hrs The sleek appearance of the OS 285 is enough to get your heart racing; but theres a lot more to this boat than simply good looks. The large unobstructed cockpit features a molded-in stern seat with a spacious insulated storage compartment in the seat base. Across from the stern bench are port and starboard aft facing seats for watching lines or for joining in on the conversation. These seat bases conceal a cooler and a 32-gallon livewell for immediate access when and where you need them.